This event will take place in our Downstairs venue with mostly standing room. For those who require seating, please call 202.408.3100 in advance. Mark Mulcahy is the former lead singer of the New England rock band Miracle Legion. He also formed the band Polaris and wrote the music for the Nickelodeon show The Adventures of Pete & Pete. Mulcahy’s solo career began with Fathering, an album that received universal praise including Album Of The Month in Uncut, Album Of The Week in The Guardian, and featured the track “Hey Self Defeater” which was featured in Nick Hornby’s book, 31 Songs. Mulcahy performs on our Downstairs stage as part of his first solo tour in three years. 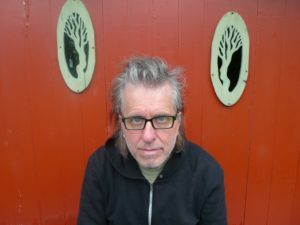 The show is one of only ten stops and will showcase Mulcahy’s most recent album, The Possum in the Driveway, as well as songs from his entire catalogue.